We will weave the threads of mind, spirit and soul by movements, music and teachings of Beinsa Douno (The Master Peter Deunov) while unfolding collective meaning in deep dialogue, understanding living systems, appreciating tradition and modern-day psychology. WisdomWeavers are people dedicated to enhance unity in mindful presence by weaving threads of local and global wisdom into a new tapestry of consciousness. It is not someone coming to teach or lecture mindstuff but rather it is a process where we harmonize in hearts and mind and learn to appreciate local wisdom reflected in universal principles and science and understanding in the 21century. 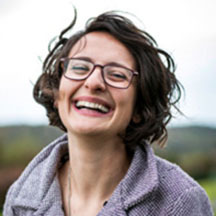 Agota Eva Ruzsa, mindful coach&facilitator, wisdomweaver. Agota has specialized in developing capacities to facilitate systemic and transformative dialogues to enhance collective intelligence, mindful mediation, generic and strategic dialogues for community building by enhancng shared wisdom emerge. She holds the foundational theory and practice of learning organizations. Studied and practiced large group systemic facilitation with Billie Alban, Barbara Benedict Bunker, Juanita Brown, Toke P. Moeller and others and has been practicing co-counselling and mindful awareness inspired by John Heron, metaphysics and spirituality from Wictor Charon, Maria Szepes, the Emissary network and mainly and mostly Gillian R. Wright, mindfulness from Jon Kabat-Zinn, constellation work from Peter Orban and Wilfried Nelles, systemic awareness from Peter Senge, team syntegrity from Joe Truss and Alan Pearson, presencing from Otto Scharmer, perseverance to the spirit from her mother… they all have contributed to her practice in facilitation and coaching for soul presence in social healing. Dr. Svetla Baltova graduated in cardiology and rheumatology. In the course of last two decades practices holistic healing using in her practice medical astrology and psychology, Bach flower remedies, as well as the medical knowledge, given by the Master Beinsa Douno (Peter Deunov). In her work, she applies also the sacred circle dance Paneurhythmy. 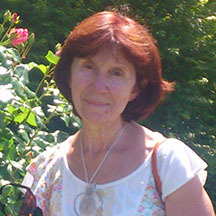 Dr. Baltova presents and teaches Paneurhythmy in number of courses, workshops and seminars in many European countries. 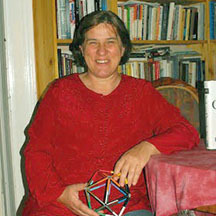 She is author of the books “Astrology and astro-psychology ”, “Planets and the Rhythm of human Life”. Compiled a book about holistic healing, containing the methods of the Master Beinsa Douno: “Health, Force, Life”. Teaches astrology and healing with Bach flower remedies at “Homeohelp holistic school. 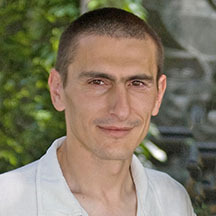 Zhivko Stoilov is teaching Yoga and Vedanta – theory and practice; practicing Integral Psychology as a Life coach; teaching Paneurhythmy – a system of exercises given by the Master Beinsa Douno (Peter Deunov). Engaged in the organization and conducting of workshops and training courses related to personal and spiritual growth of both individuals and society. Founder of Association “VidyaProject” which channelises and enhances the efforts of network of friends dedicated to individual and social change. The faith, in the power of “problem” surroundings to be the incubator of unique social innovations, is the air I breathe and the water I swim in. I am probably addicted to the ultimate thesis that the course of our human evolution depends on the outburst of the creative potential. And it seems that now is precisely the time to pre-formulate the word “development” and to direct it towards human happiness. I work as a “catalyst” and “feeder” for small ideas and people with dreams, who have extraordinary potential for a social change. Being a strategic communicator by profession, a lover of shared visions, a lecturer, an educator, a blogger and a traveller. Being also a co-founder of Ideas Factory, as well as other similar and out of ordinary concepts as Time Shop and Changemakers Academy. There is always a red clown nose in my pocket. 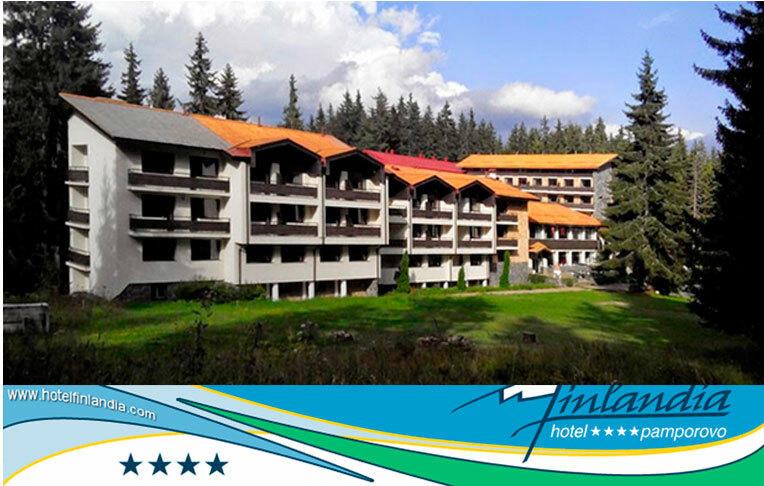 All inclusive, vegetarian meals, water pool, fitness, halls, car park: 74 EU! Special prices of SPA services, in EURO : Jacuzzi – 2.00 Euro per person; Sauna – 3.00 Euro per person; Steam bath – 3.00 Euro per person; Massages – from 13.00 to 21.00 Euro depending on the kind of treatment.